Wealth firm Quiena Inversiones, which offers all its services online through a robo-adviser service and a platform that allows clients to place their own trades, is looking to expand its presence in Argentina after being granted a global advisory license. 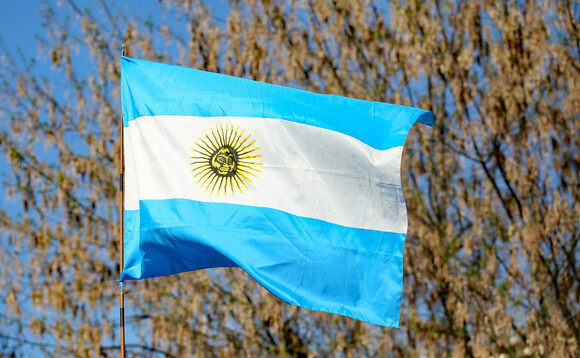 The firm was issued an Argentina's Agente Asesor Global de Inversiones (AAGI) permit on March 8, meaning it can now offer local clients advice on both onshore and offshore assets, as CityWire Americas reports. The company has been operating since 2017 under a license from the Uruguayan central bank, Quiena chief executive Nicolás Galarza said. Now that it has the AAGI, the firm plans to focus on expanding its Argentine client base, Galarza added. Quiena claims to be the country's first fully-digital advisory company. "We insist that we have no competition. Even digital brokers here aren't that digital," he said. 'The online broker-dealers, the discount brokers, continue to have a whole floor of people talking to clients on the phone," he added. The firm is also looking to raise $5m to $7m to support its Argentine growth efforts, as it expects the local wealth market to grown.